With the strength of real estate in Granbury, it's a perfect time to buy a vacation home or investment property. A vacation home doesn't need to sit dormant until you personally use it. In many instances, a vacation home can generate some income to offset the investment which can provide cash flow while your long term investment matures. Real estate has historically been a sound financial move. Over the long term, real estate investments outpace the stock market for generating wealth. With that being said, purchasing a vacation home that you can enjoy seems to be a much better solution for long term investments than other investments. Being able to enjoy waterfront views and other luxuries as your investment grows is just an added benefit. Have a plan. Figure out if you will be renting your vacation home out for parts of the year in an effort to offset some of the costs. Will you do daily rentals on the property such as AirBnB? If it is a waterfront home, what extra maintenance will be needed? Will a boat be on premises? Will potential tenants be able to use the boat? How will the home be maintained in your absence? If you have additional income from the vacation home while and your family are not personally enjoying it, you may be able to step up the purchase price a little. Having a solid plan early in the home buying process will give some structure to the future decisions you will need to make. Get a good REALTOR. When purchasing a second home or vacation property you will want to lean on an experienced real estate agent that can assist you with not only finding the perfect vacation home, but assistance in pricing out any repairs to bring it up to rental standards and help with knowing exactly how much revenue you can generate from the property. 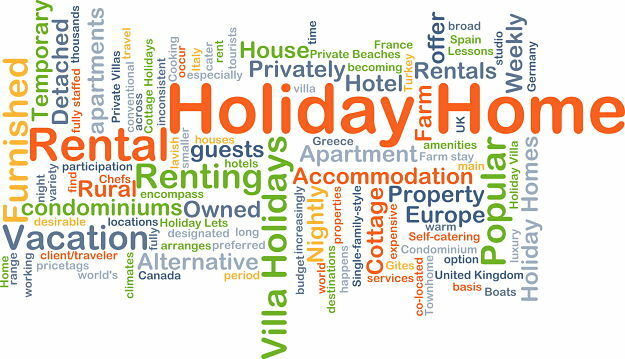 A good real estate agent should be able to assist with all of these aspects of buying a vacation home. Experienced agents will also be able to give you some insight on what features are in high demand for the leasing of your new vacation home. You might even let them manage the property if you have longer term rental tenants staying there. Once you have chosen your real estate agent, make sure to put them in contact with your lender as they will work closely together over the home buying process. Get financing in order. Getting financing on a property that is not your primary residence is quite different than standard home financing. The financing may take longer than you anticipate so you will want to contact a mortgage broker early in the process. Be prepared to produce a lot of paperwork as financing for vacation homes are quite a bit stricter than standard homeowners financing. Find the perfect home. There are thousands of homes for sale in Granbury. Take your time. Understanding that Granbury’s real estate market has been on fire, you may find that the most desirable homes for sale go very quickly. Be ready to go and view any new home as soon as it hits the market. Have your real estate agent set you up to be notified when a new home (that fits your criteria) gets listed. Stay away from searching for homes for sale on sites such as Zillow and Trulia as they don't have all of the homes for sale, use a local real estate brokers website to search all of the inventory available. When viewing the properties, keep an eye out for the homes rental viability. Look for great views of Granbury lake and other attributes that may make the property easy to rent out in your absence. Speak with your accountant. Depending on your specific situation, you will have a variety of ways to structure the purchase of your new vacation home. Although the tax benefits are different on a vacation home than they are for your primary residence, you can still take advantages of may write-offs on your taxes. You will want to have these things in place before you take possession on your new property since going back after the fact can be challenging. Buying a vacation home can be easier than you think if you put the things in place that will help offset some of the costs of owning two homes. Don’t get frustrated if it takes a little time to find the perfect property, homes for sale in Granbury are in high demand. Especially the waterfront properties and the homes on Lake Granbury. When searching for your vacation home, pay attention to the marketing aspects of the property if your plan has you monetizing the home when you are not there. In the end, you can expand your personal wealth while giving you and your family a perfect place to retreat to. It just takes a little patience. great article. I had never thought of generating money from a vacation home while its not in use.